This was my original piece created for my senior show at College of the Ozarks. 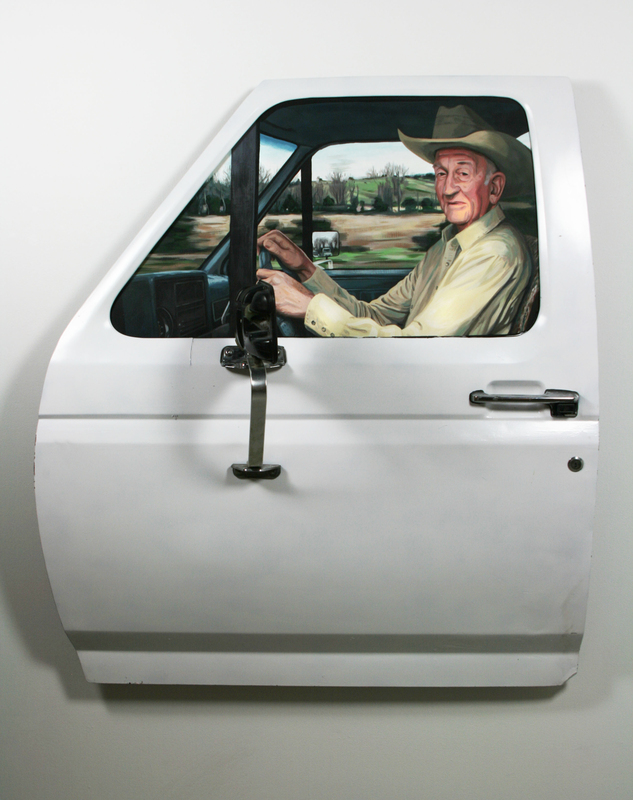 It consists of a tromp l’oeil portrait in a real truck-door frame. I painted it white to blend in with the wall, but the new owners who bought it had it painted dark brown to match the decor. It is a permanent decoration at Country Living Assisted Living in Mountain Grove.